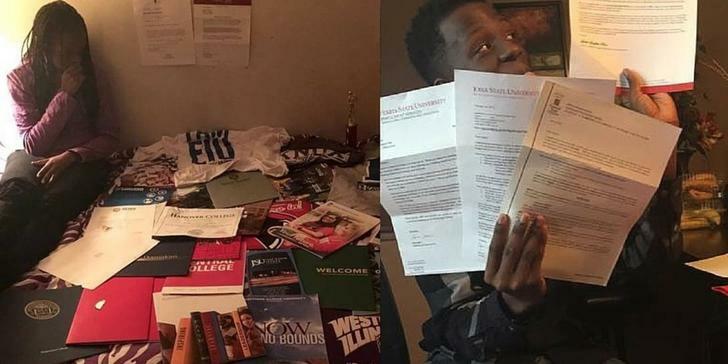 Two Chicago twins are making their parents double proud as both have shown to be exceptional students bound for success. So much for the evil twin theory, they perhaps may have benefited from some direct healthy competitions. 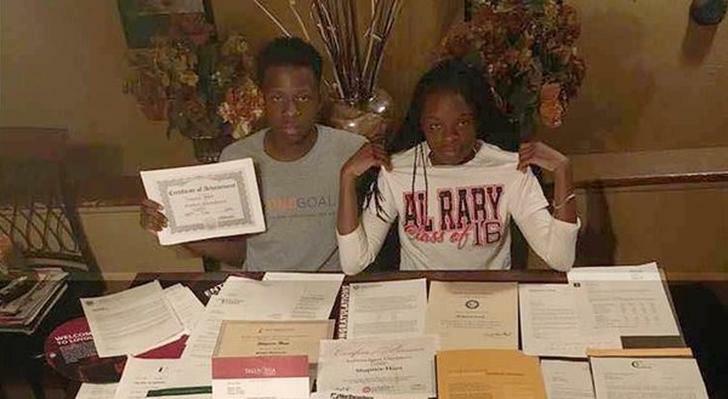 The hunt twins, Shaprice Hunt and Deprince Hunt, were accepted to a combined 56 colleges, setting the bar pretty high for the rest of the high school seniors. Although it seems Shaprice pulled ahead a little, if one were to think of them as individuals. Shaprice was accepted into 35 colleges with two giving her a full-ride scholarship and another five wanting her to play basketball after being scouted. She narrowed it down to Illinois State University or Eastern Illinois Uniersity. She wants to also dual major at one of these campuses with Education and Psychology being her subjects. Deprice, who got into an embarrassing lower 27 schools (Sarcasm) and has also earned $3000,000 in scholarships with two full ride offers. Deprice says his main concern growing up along with his studies was to make sure his mom didn’t have to pay for the education he knew he was going to continue after high school. His sister shared the same sentiments. His top choice at this point is HBCU Morehouse College. For Deprice, this has always been his dream school and hopes to soon study Performing Arts and Political Science there. During their time in high school they took education very serious. They boasted a perfect attendance record and gathered themselves 48 awards throughout their years in School. They both thank their family, teachers and guidance counselors for the support and claim to owe their success to them. Statistically speaking, the odds were against them; two black kids growing up in Chicago do not have the easiest path to success but despite the negativity they faced, the marched on and stayed disciplined. And at this point they know what they accomplished and they are proud which is why Deprice actually reached out himself to local news outlets to tell their story, he wanted to inspire others. “A lot of people say you can’t do it because of where you are from. Don’t listen to them.” Deprice said when interviewd. Hopefully the two twins check back in with us, with that kind of wisdom at the age coupled with that strong work ethic, the sky is the limit.